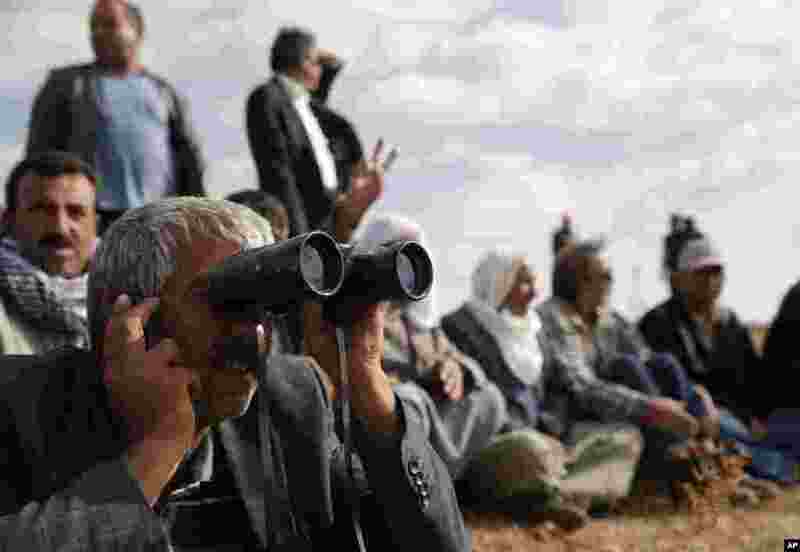 1 People gather on a hilltop on the outskirts of Suruc, at the Turkey-Syria border, to watch fighting between Syrian Kurds and the Islamic State militants, Syria, Oct. 15, 2014. 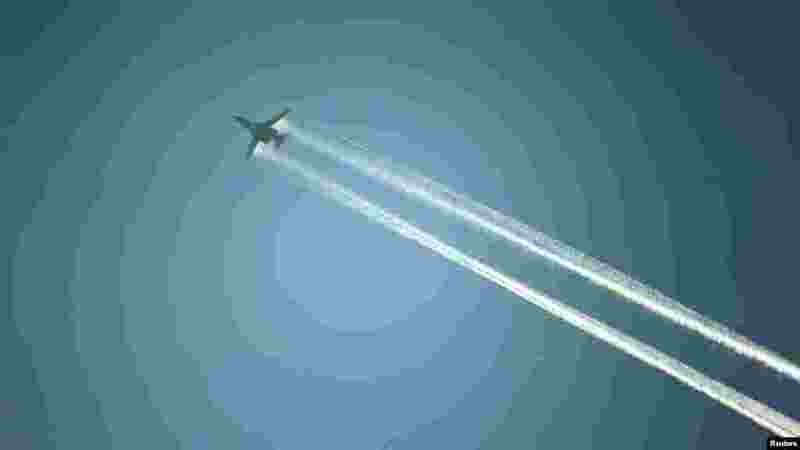 2 A U.S.-led coalition aircraft flies over Kobani, near the Turkish-Syrian border, Oct. 15, 2014. 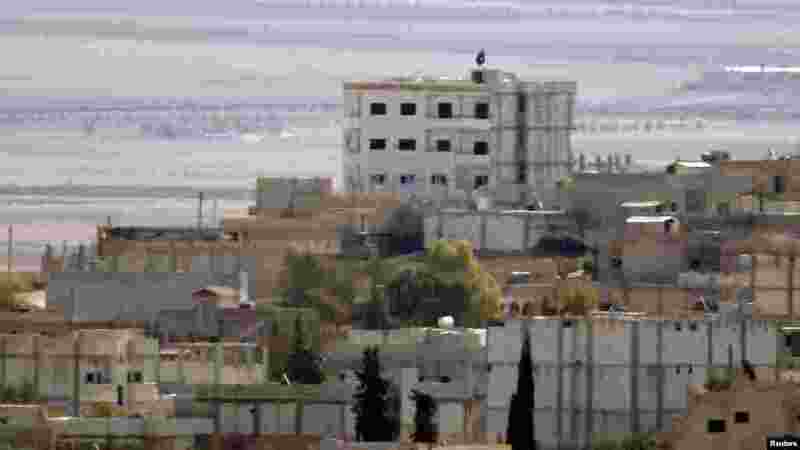 3 A black flag belonging to the Islamic State is seen in the Syrian town of Kobani, near the Turkish-Syrian border, Oct. 15, 2014. 4 Photographers and members of the media watch the Syrian town of Kobani from atop a hill on the Turkish-Syrian border, Oct. 15, 2014.